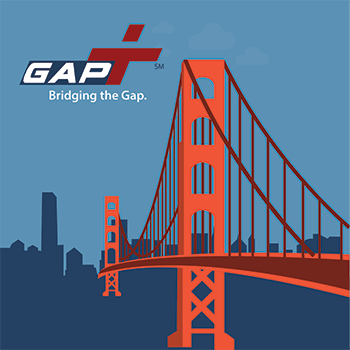 Short Term Medical Insurance & Gap Insurance working together. *Group Term Life Insurance is underwritten by Investors Heritage Life Insurance Company & not available in all states. 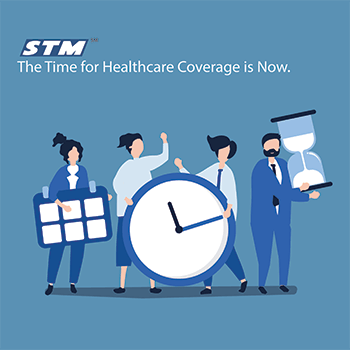 Note: Since STM Plus Plan includes an individual Short Term Medical insurance plan and does not require you to join the association or to purchase the Gap Plus Plan to apply for coverage, if you do not want to join the association or do not want the Gap Plus Plan, you can purchase the STM Plan (C&F) in lieu of the STM Plus Plan on a stand-alone basis. 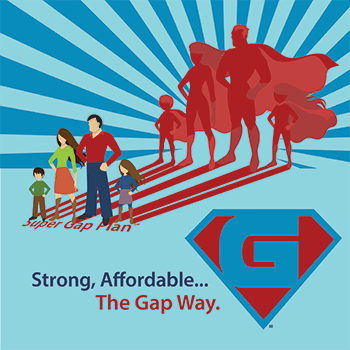 The Gap Plus Plan sold outside of the STM Plus Plan also might be available in additional states. 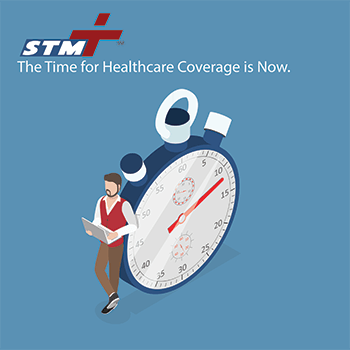 The STM Plus Plan is a combination of both the STM Plan (C&F) individual short term medical insurance with the Gap Plus Plan into one convenient plan. 1The deductible, coinsurance percentage, coinsurance limit, co-pays and policy period maximum apply to each Covered Person for ALL benefits, unless otherwise stated for a specific benefit listed in the policy. 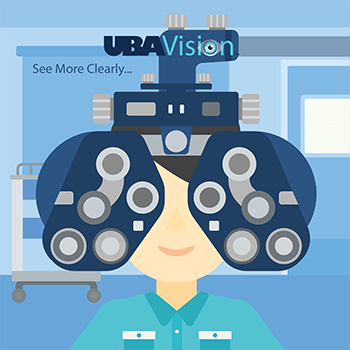 To view all eligible medical benefits and their details, please review the policy and brochure. 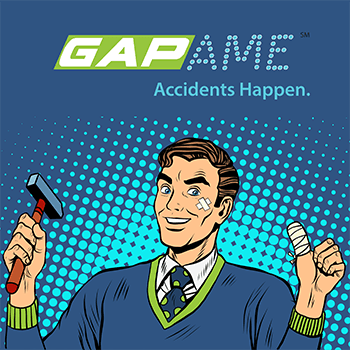 $5,000 Group Accident Medical Expense Insurance Annual Maximum Benefit - $100 Deductible per Accident. Maximum Lifetime Benefit Amount is $500 if first diagnosis of Covered Critical Illness occurs within the first year from the effective date. Benefit ends at age 65 and Critical Illness Insurance Benefit is only available for Covered Member and Eligible Spouse only. This is a short term medical insurance policy that is not intended to qualify as the minimum essential coverage required by the affordable care act (ACA). Unless you purchase a plan that provides minimum essential coverage in accordance with the ACA, you may be subject to a federal tax penalty. Also, the termination or loss of this policy does not entitle you to a special enrollment period to purchase a health benefit plan that qualifies as minimum essential coverage outside of an open enrollment period. Note: this policy is not renewable. No continuous coverage. This policy of insurance provides coverage for short term duration only. it is not renewable. 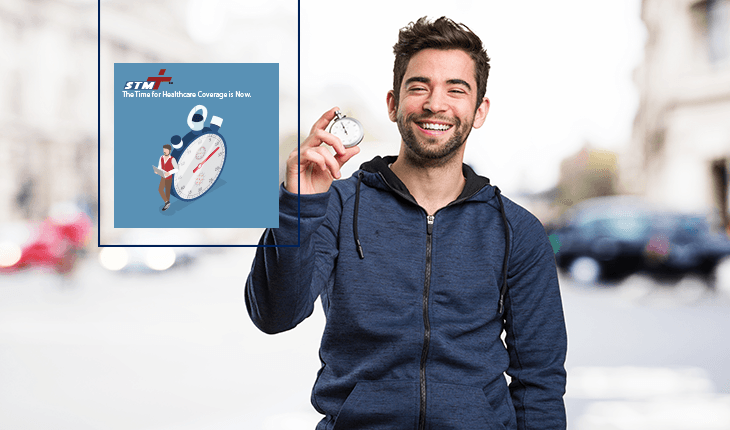 Although this short term plan may be written for new and completed separate coverage periods (as long as you meet the eligiblity criteria described in the application), coverage does not continue from one policy to another. This means that a new application must be submitted, a new effective date is given, a new preexisting condition exclusion period begins and a new deductible and out-of-pocket expense must be met. Any medical condition which may have occurred and/or existed under a prior policy will be treated as a preexisting condition under the new policy. Read this brochure carefully. This is a brief description of Short Term Medical Insurance and is not an insurance contract, nor part of the insurance policy and is subject to the terms, conditions, limitations, and exclusions of the policy. Coverage may vary and may not be available in all states. 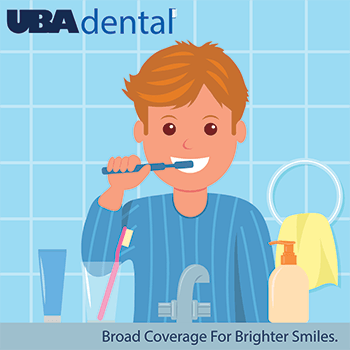 You'll find complete coverage details in the policy. Short Term Medical Insurance is underwritten by United States Fire Insurance Company. 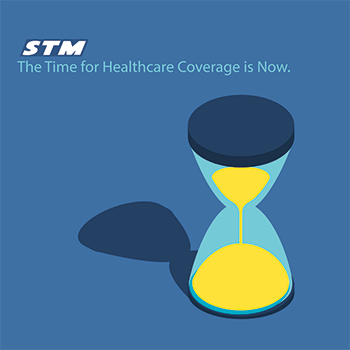 Short Term Medical does not meet Minimum Essential Coverage as mandated by the Affordable Care Act. Short Term, limited duration plans are not subject to certain provisions of federal health care reform, including provisions related to Essential Health Benefits, lifetime limits, preventive care, guaranteed renewability, and preexisting conditions. The preexisting condition exclusion for Short Term Medical plans will apply for all insureds, including those under the age of 19. Know your plan. Short Term Medical plans offer medical coverage, are medically underwritten (so you can be declined) and do not provide Minimum Essential Coverage. 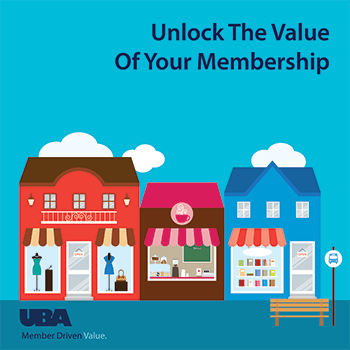 Read the brochure and the group insurance certificates carefully. This is a brief description of various group association insurance products and is not an insurance contract, nor part of the Certificate of Insurance and is subject to the terms, conditions, limitations, and exclusions of the Certificate(s) of Insurance and/or Certificate Riders. Coverage may vary or may not be available in all states. You'll find complete coverage details in the Certificate(s) of Insurance and/or Certificate Riders. Group Accident Insuranc and Group Hospital Fixed Indemnity Insurance are underwritten by United States Fire Insurance Company, Eatontown, NJ. The insurance described in this document provides limited benefits. 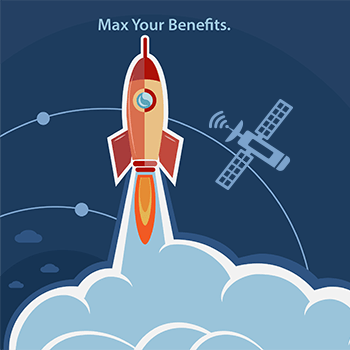 Limited benefit plans are insurance products with reduced benefits intended to help supplement comprehensive health insurance plans. This insurance is not an alternative to comprehensive coverage. It does not provide major medical or comprehensive medical coverage and is not designed to replace major medical insurance. Further, this insurance is not minimum essential benefits as set forth under the Patient Protection and Affordable Care Act. Group Term Life Insurance is underwritten by Investors Heritage Life Insurance Company and is available to Covered Member and Eligible Spouse only and coverage ends at age 65.